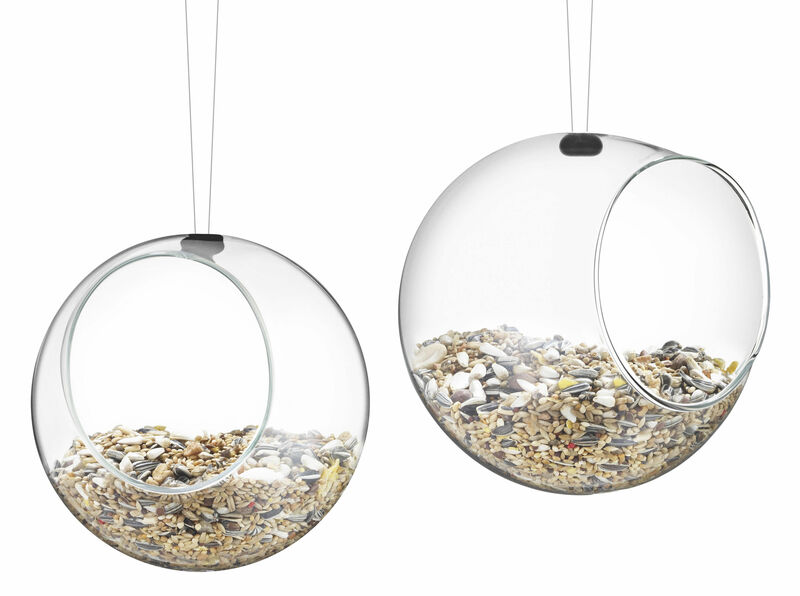 The feeding balls are designed to resemble a weaver bird's nest, and are made of clear glass so you can observe visiting birds. The balls are both charming and decorative, and ready to hang in the garden or on the balcony. 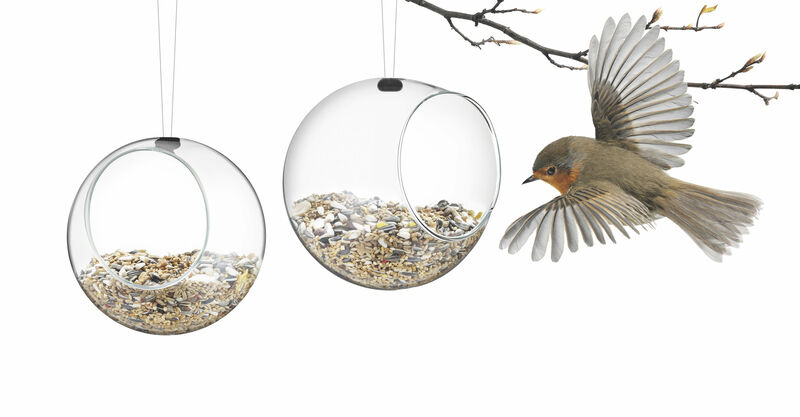 They are supplied in sets of two and each measure 11 x 12 cm. 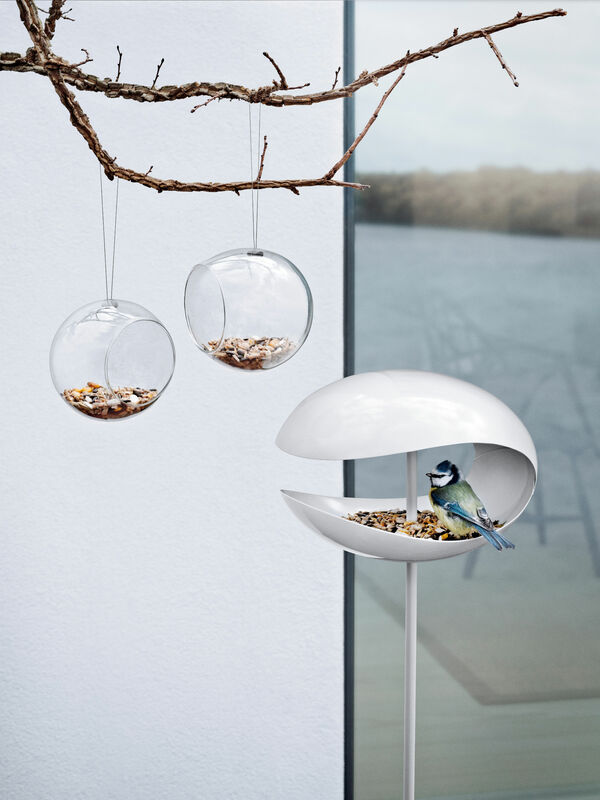 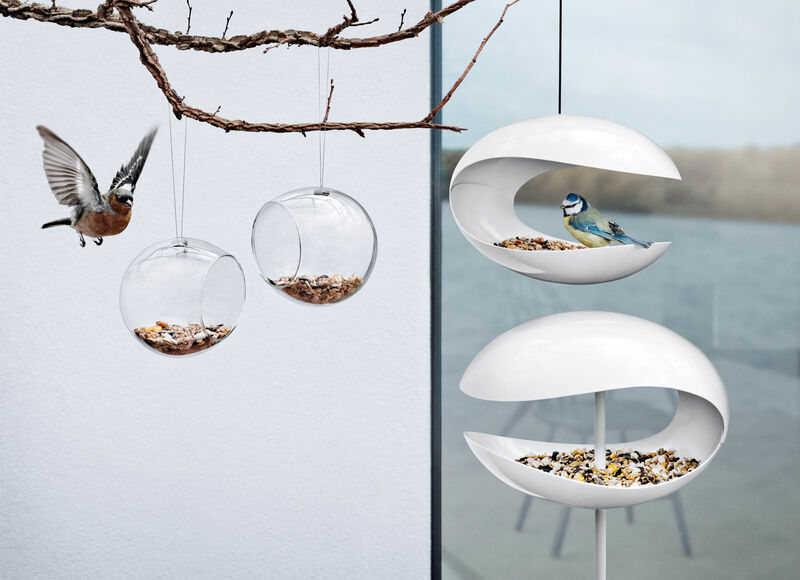 The feeder balls match the other products in Eva Solo's outdoor range.